Property ownership can be exciting. This may be your first step into a side business and extra income is always appreciated. Besides the occasional hassles related to maintenance or tenants turnover, there are tax consequences you should be aware of. You report the income earned in the year you receive it, regardless of which period of time it covers. It is a type of a “cash” basis reporting. For example, in December your tenant gives you a rent check for that month and for January of next year. The January rent ends up being reported for the current tax year. You also have to report any other form of payment you receive from tenants, other than cash, as your rental income. If you accept some services as a part of rental payment, you have to calculate market value of those services and include them in your income. Security deposit does not enter into calculations of your income unless you plan to keep it. Of course it’s difficult to predict the level of upgrades when the current tenants move out. If you return a portion of the deposit but keep some for improvements, the portion you kept becomes an income in the year you decided to keep it. repairs and maintenance – most common expense and incurred on ongoing basis. uncollected rents – if that unfortunate event happens, it is considered an expense. depreciation – file Form 4562, Depreciation and Amortization, to report depreciation starting in the year the property was placed in business. insurance – as a property owner you may insure it against liability or casualty or natural disaster; the insurance premiums as deductible. operating expenses – covers numerous fees you may have to pay in the process of operating the property; whether it’s property management, garbage removal, cleaning, advertising, accounting, or legal fees, as long as they are related to the property. interest expense – includes mortgage interest or interest on any loan taken to make improvements to the property; the same applies to credit card interest if any projects related to the rental property were paid with the card. travel to your rental unit – whether it’s local or long distance (overnight stay) costs associated with getting to the place are deductible; the main purpose of the visit has to be related to dealing with the property and the IRS will allow to deduct expenses such as getting there, lodging, food, etc. Property improvements such as adding a new bathroom, pool, or remodeling a kitchen that add value to the property, have to be depreciated. As an owner you can use your property any way you like. In order to maintain deduction benefits, you have to meet certain rules. 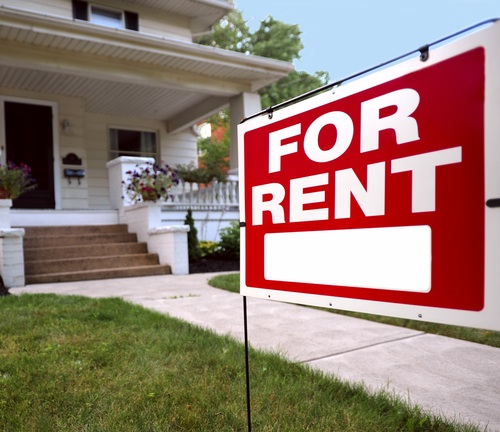 The IRS allows you to use your rental property for personal use up to 14 days per year or 10% of the total days the unit was rented in a given year, whichever is greater. In either case, you get at least 2 weeks of leisure at your property without losing any tax benefits. If those rules are broken, your maximum deduction becomes the income the property generated; you cannot claim a loss from rental activity for that year. It’s very important to keep good records and document everything. Just based on income and expenses categories you can realize the number of details that go into managing a rental unit. Solid record-keeping comes especially handy if the IRS decides to audit you or questions some of the expenses. Good record-keeping coupled with the right way of tracking money going in and out (for that you can try out Quicken Rental Property Manager) will make your life easier come tax season.